This idea is not new. As a matter of fact, Trish at WIP is my inspiration behind this gift. She has made available at her etsy shop this photo card kit. 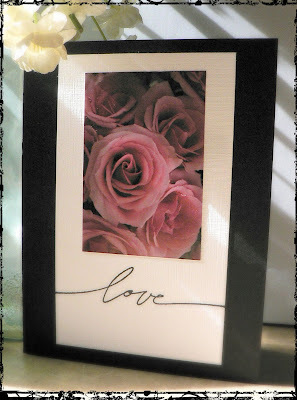 There are beautiful floral photos ready to be attached to the card. Envelopes are included and ready to be gifted away. These really saved me in a pinch. I went ahead and made up several batches of these sweet cards, and have them ready to go. The other day while walking out the door to another event, I remembered I needed a gift,...grabbed a set, arranged them in a mini gift bag with tissue, and it was a gift I would have been thrilled to receive. 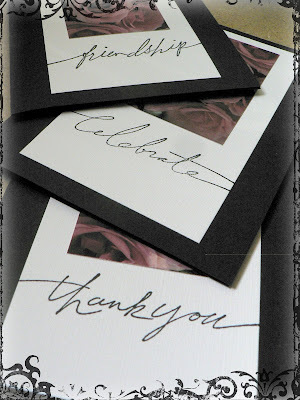 I added a sentiment with some Stampin Up stamps on some of them. Go check out her shop! I just tagged you on my blog ;) Hope you'll play along!